Capt. 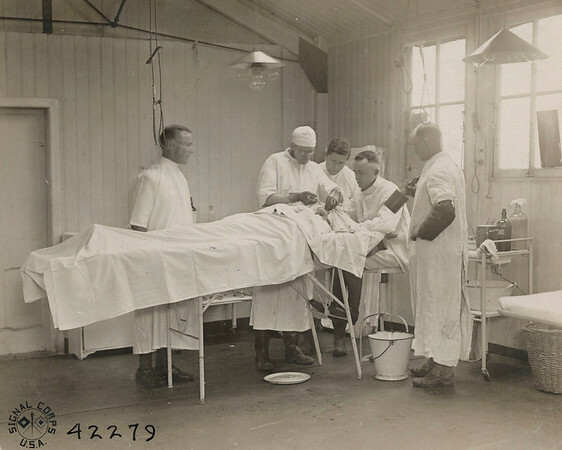 R. F. Risher operating on shrapnel wound in soldier's neck. Rouen, Seine Inferieure, France.